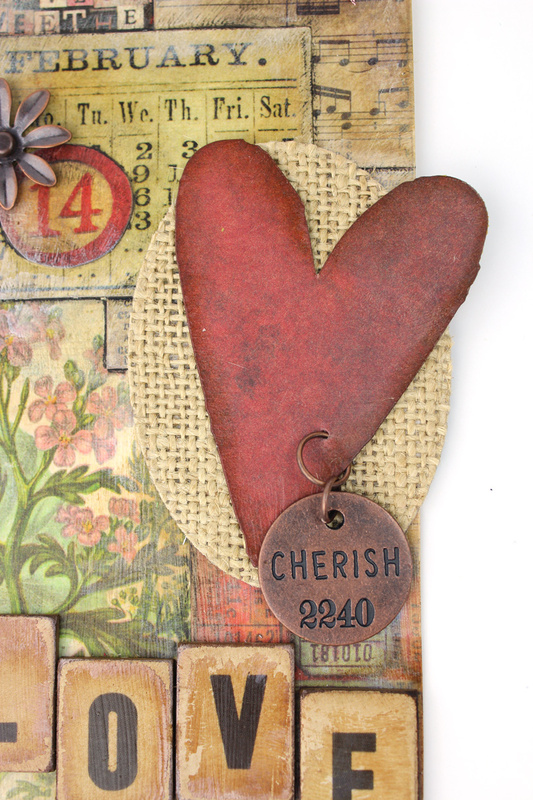 As you may have noticed in my recent organization posts, I have a ton of Tim Holtz products. 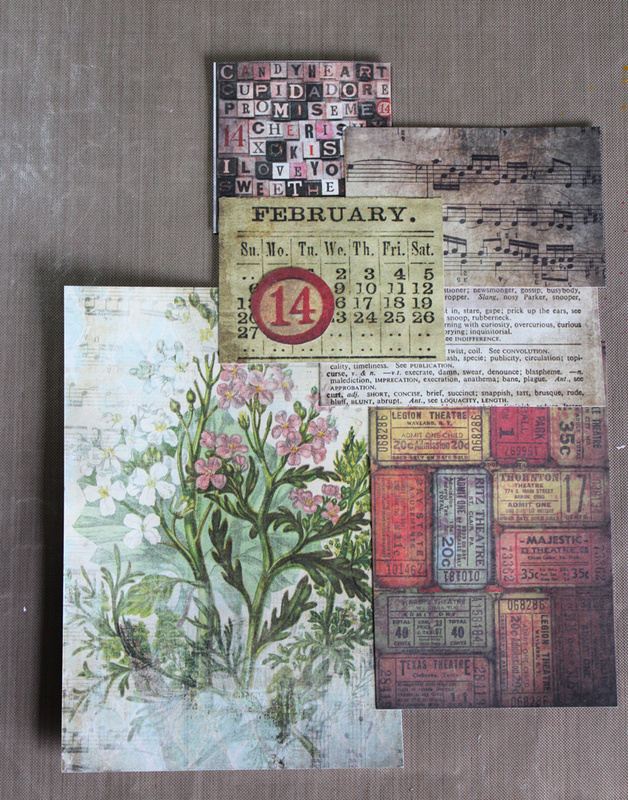 I absolutely love his line of stamps, dies, inks, and embellishments. I am really good at purchasing them, but not so good at using them. :) I'm working on changing that this year. This is my first attempt at a Tim Tag. These are the products that I started with. I ended up using most of these items. I can't remember the last time I did any sort of collage work, so I was a little intimidated at first. 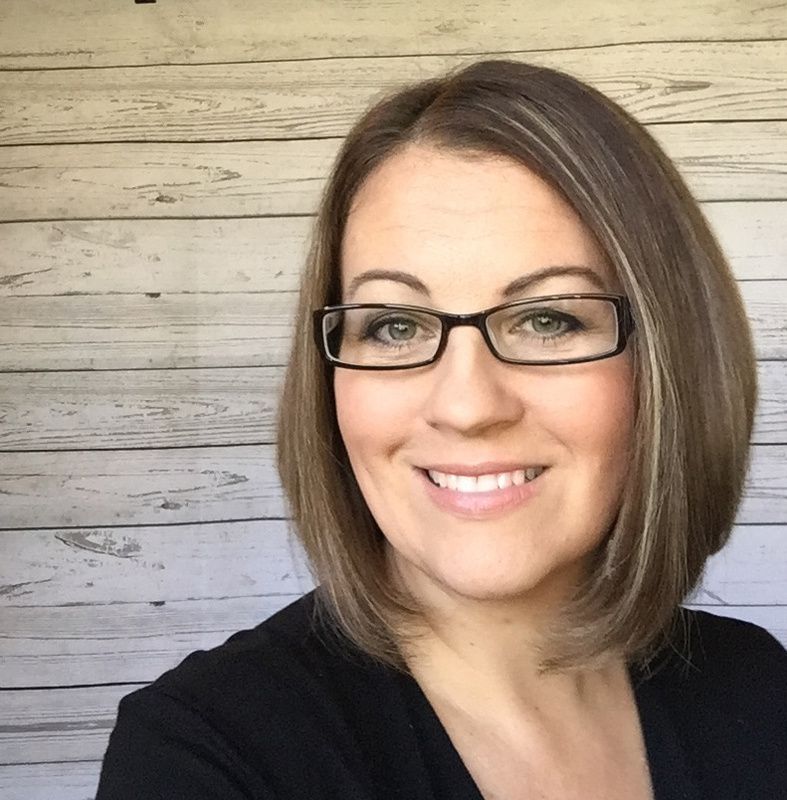 Once I let go of the need to have everything just perfect, I really enjoyed the process. Once I had everything glued down where I wanted it, I trimmed off the edges of the tag and covered the whole thing with a layer of Mod Podge. Now it was time to get inky! I covered the edges with some Picket Fence Distress Paint. 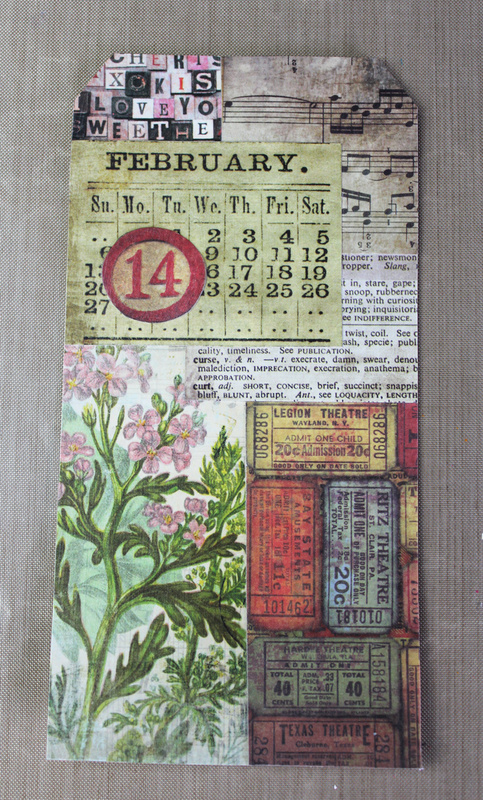 I added a little too much white, so I went back over everything with some Vintage Photo Distress Ink. I added another layer of Mod Podge to seal the paint. The next step was to trace around the edges of the papers with a Black Soot Distress Marker. I had some major issues with this! LOL After lots of smudging, I managed to lighten up the lines a bit so they looked a little more like a shadow. 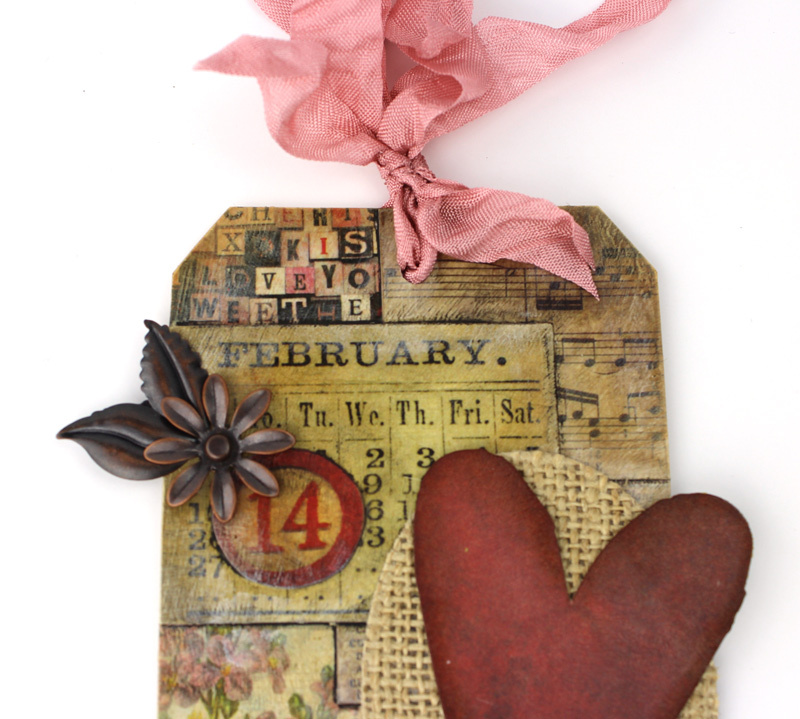 I paired the heart with a oval piece of burlap. The little tag was from the Philosophy Tags collection. I just love these little tags. 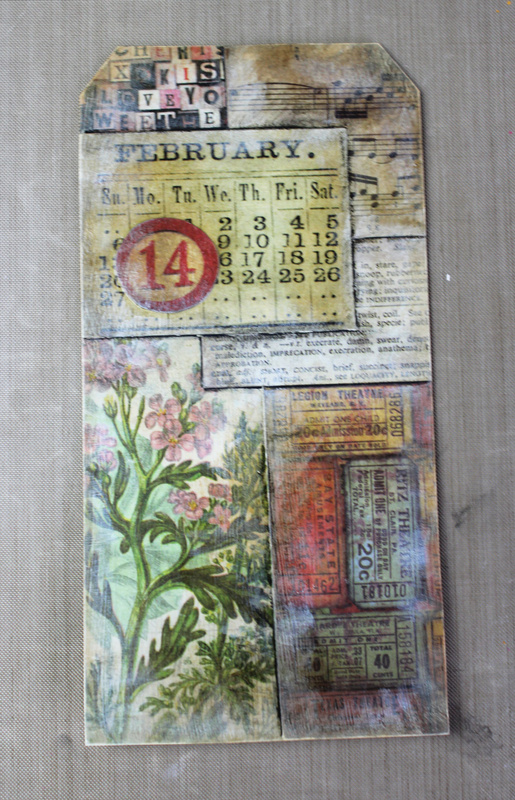 I distressed the Alpha Tiles by sanding the edges and sponging them with Vintage Photo Distress Ink. I finished off the tag with some pink seam binding and a small flower. I'm so happy that I took the time to create this tag. It was fun to create something so different from my normal stamping style. 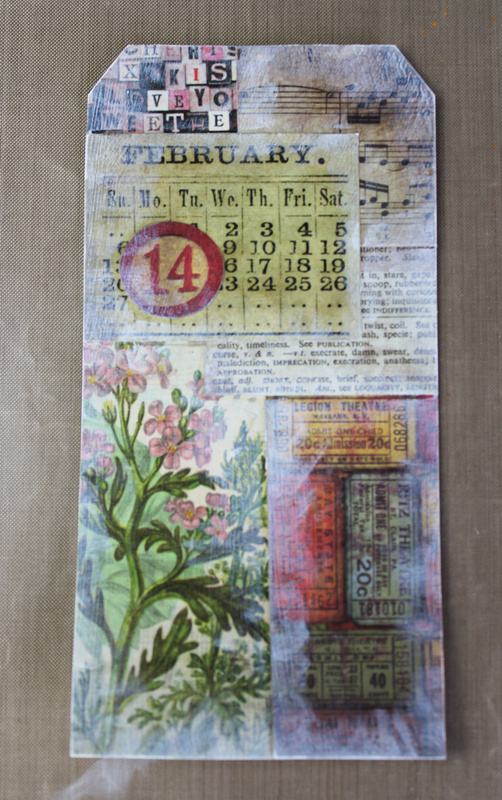 I'm hoping to finish up the January tag in the next week. 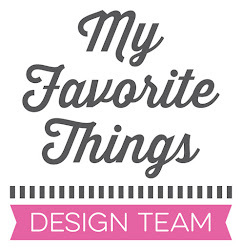 Check out Tim's fabulous tag and all the other gorgeous creations HERE. Oh, I have the same problem! Really, really good at purchasing. I've been saying every year that I want to do the 12 tags. 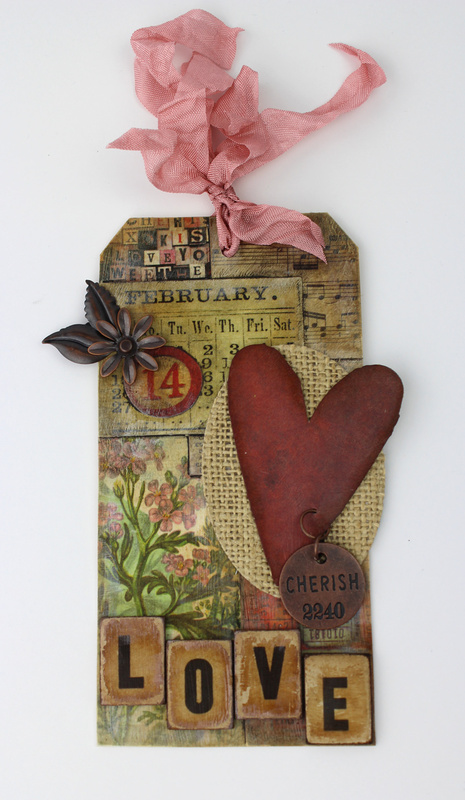 I think I'll try to do a February tag this weekend. Thanks for the inspiration! 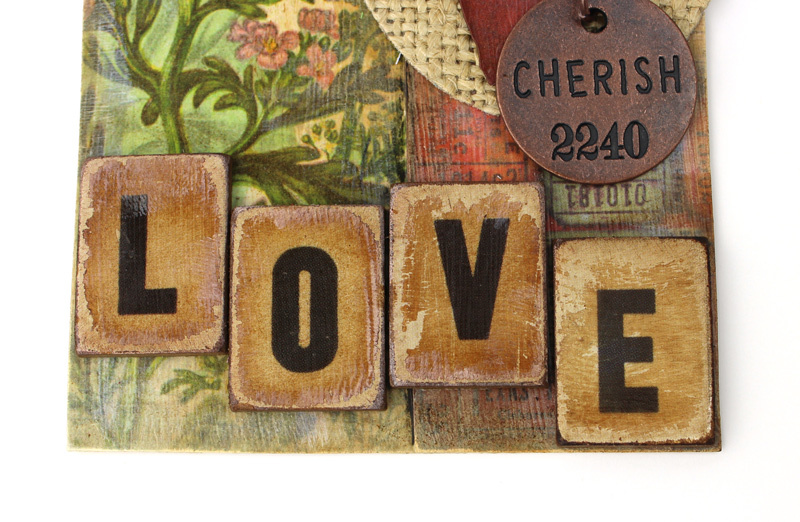 Your tag is beautiful! 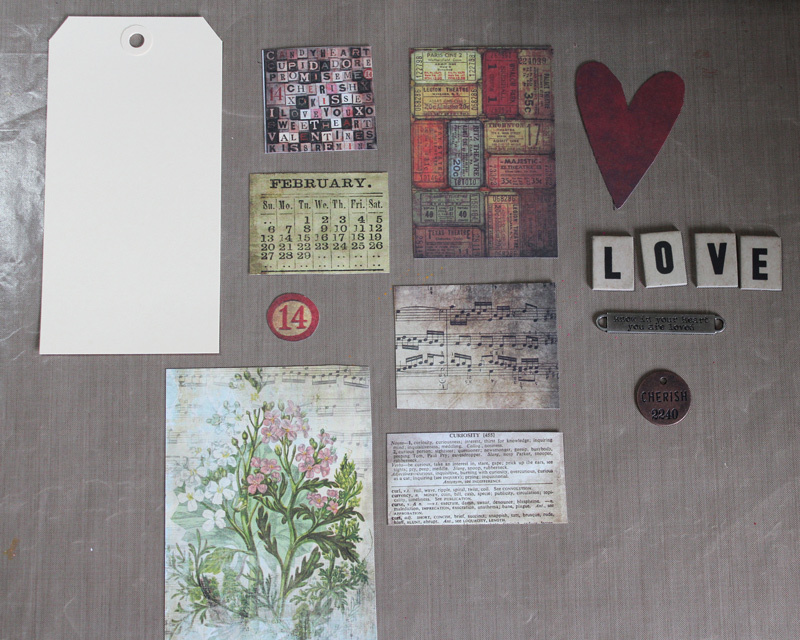 I have the Tim Holtz bug too...I buy stuff and intend to use it, but they sit all pretty in a drawer! I think you have inspired me to get it out and get inky! TFS!! 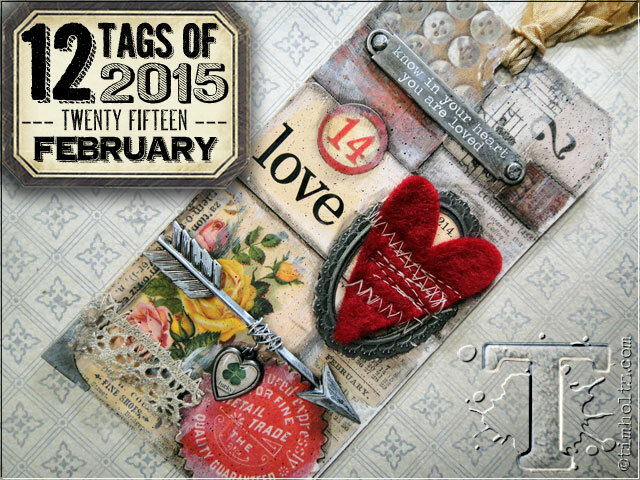 Lovely tag, Julie - I particularly like that beautifully collaged background!